Now comes the related policy question of what to do with the big chunk of prime spectrum that would have been used for the Obama plan – will it be opened up for unlicensed use, enabling gigabit WiFi to make the Internet work better on all of our devices?Or will it continue to sit fallow on the prospects of potential future automotive use? The Department of Transportation (DOT) has zealously guarded the 5.9GHz band since it was set aside by the Federal Communications Commission (FCC) in 1999. Twenty years later, DOT's longtime preferred DSRC technology remains nearly undeployed - the technology is in just 18,000 of the estimated 270 million passenger vehicles in the country. And the ObamaDOT's own testing foundthat "every DSRC device deployed had to be recalled at least once... to identify and correct issues" and "there were more false alerts generated by the systems than anticipated." Meanwhile, radar, lidar, camera-based, and cellular 4G technologies have been developed and enable a wide-array of driver-assist features. As 5G is deployed it will bring even greater capabilities. Yet DOT and automakers insist on a slow, three-phase series of tests to see whether WiFi can share spectrum with DSRC before making any changes. The first phase was completed successfully in October, butas FCC Commissioner Michael O'Rielly observed: "The reality is that the entire debate has gravitated away from the type of sharing regime envisioned in the testing.Instead, the Commission should move past this and initiate a rulemaking to reallocate at least 45 megahertz of the band, which is completely unused today for automobile safety." He's right, and it's an issue with bipartisan agreement at the FCC. Democratic Commissioner Jessica Rosenworcel joined O'Rielly in a 2016 joint statement, saying: "We believe this slice of spectrum provides the best near-term opportunity for promoting innovation and expanding current offerings, such as Wi-Fi. That’s because combining the airwaves in this band with those already available for unlicensed use nearby could mean increased capacity, reduced congestion, and higher speeds." The Trump DOT has stopped the Obama DSRC mandate but so far held on to the spectrum. They have also, however, signaled a welcome shift to a technology-neutral approach, and are presentlytaking public commentson where vehicle communications technology is going. Given the rapid development of mobile technology and the even greater capabilities coming with 5G - as well as sensor-based technologies being rapidly developed for driver-assist features and autonomous vehicles - it is possible that no dedicated spectrum will be needed. 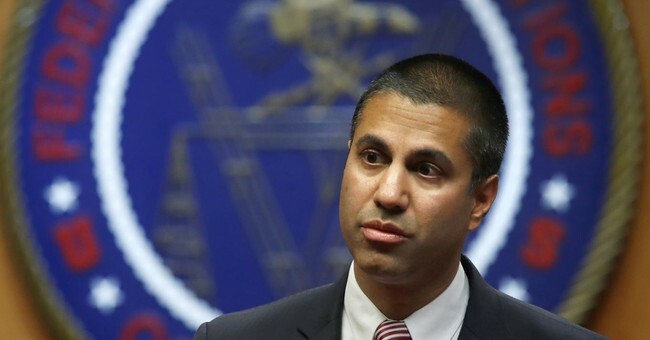 Nonetheless, the FCC could potentially reserve a portion of the 5.9 GHz band in which automotive uses would be prioritized, or possibly designate another suitable band of spectrum for automotive use to satisfy DOT concerns and fully close the book on the Obama's administration's misguided approach. In the meantime, the country's nearly insatiable demand for WiFi in our homes, offices, and just about everywhere else should be met by opening the best spectrum available, rather than waiting because of a talking car law passed 20 years ago for a technology that never really worked.